Company Profile Mission Statement our vision and strategy is to become the leading industrial instrumentation manufacturer for pressure and temperature measurement.Exact will differentiate itself from competitors by offering a diversified and high quality product line,superior customer service, and a global distribution network. 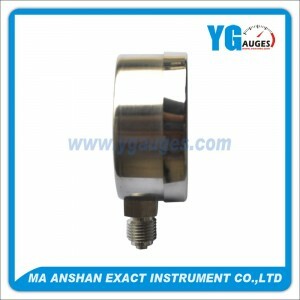 Ma Anshan Exact Instrument Co.,ltd ,we are professional manufacturer for all kinds of high quality instruments in ma anshan city, an hui province,China. 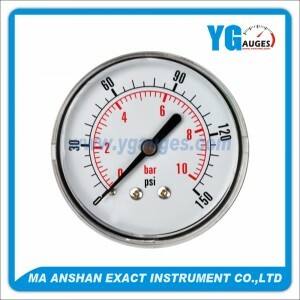 we specialize in designing and manufacturing pressure gauges,thermometers and so on.Through the years,the company has grown in size and reputation and is now a leading global manufacturer of industrial instrumentation.Our comprehensive products lines of pressure gauges ,thermometers, diaphragm seals.......... Our factory has a area 10000 square meters, 120 employees, we have got ISO9001:2008 and other approval. all of our products are mainly for export, and enjoygs good reputation.we have first class management and qualified employees to make high quality products to make EXACT more famous. We always insist on quality NO.01 ,Customer No.01, we warmly welcome customers from all over the world for cooperation! 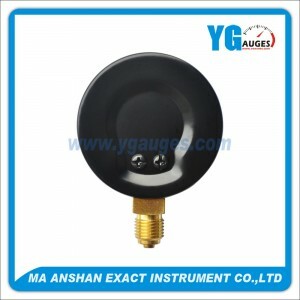 Our vision and strategy is to become the leading industrial instrumentation manufacturer for pressure and temperature measurement.Exact will differentiate itself from competitors by offering a diversified and high quality product line,superior customer service,and a global distribution network. 1.Quality is first,Service is first! We always insist on customer NO.1,quality NO.1,we warmly welcome customers from all over the world for cooperation.